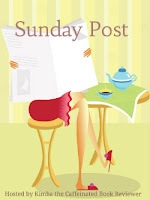 Sunday Post, a weekly meme hosted by Kimba the Caffeinated Book Reviewer, where bloggers share weekly book recaps and other news . . . AND . . .
Stacking the Shelves, a weekly meme hosted by Tynga's Reviews, where bloggers share the books they are adding to their shelves. Borrowed from my local library . 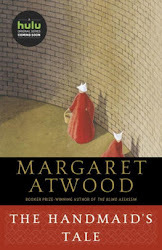 . .
Sunday Post--Stacking the Shelves--My Weekly Book Recap was originally published by Catherine for bookclublibrarian.com. This post cannot be republished without express written consent. New follower! Never Smile at Strangers looks interesting! Good haul! New follower. Interesting haul. You got some books that I've never heard of. I like finding new books. Come visit me as well. Nice haul. Sacred Treason has a great cover. I'm curious about it. Happy reading. Love your blog and your list. What a great Valentine's Day you had! I'm now following you too, via GFC. Thanks for stopping by, Grace. I'm now following you too via GFC. Wow I think these are all new to me I'm gonna have to hunt them down on Goodreads! Awesome haul! Newly following your blog. I've never read Diary of a Provincial Lady, but I've heard of it (mostly favorably.) I'll be interested to see what you think of it! And thank you for stopping by my Sunday Post earlier! Also, please vote in my Revisited Challenge. Thanks, Giselle. As the saying goes, so many books, so little time! Thanks, Jorie. You've got a great blog and I am now following you on Twitter also. I've read such great things about the Alan Bradley series - I really need to get started on that one! It's a great series, Carrie, with a precocious, endearing young heroine. Thanks for the feedback, Kim. I downloaded Sacred Treason for free from Barnes & Noble.